HCA is still reforming its board of directors four years after a shareholder lawsuit over the company's 2011 initial public offering brought HCA governance under scrutiny. On the verge of settling the shareholder lawsuit for $215 million, HCA has agreed as part of a related lawsuit to add another independent director to its current 11-member board and make a series of other governance reforms, court documents show. 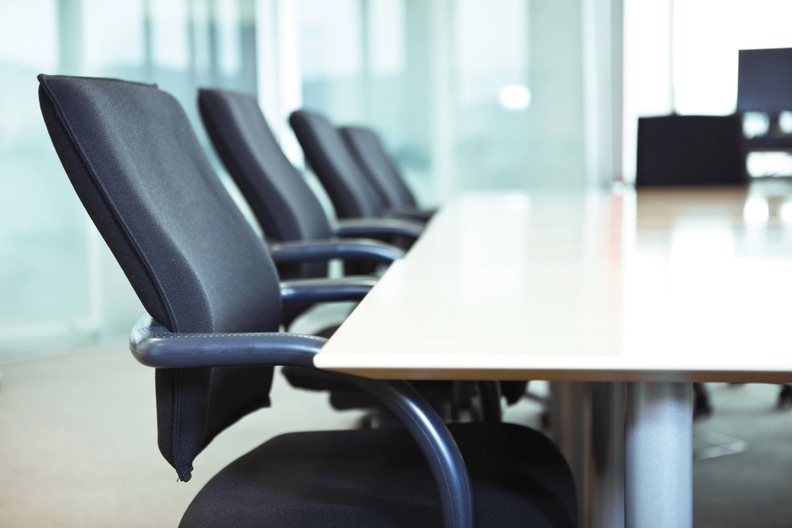 HCA directors, for example, also would be limited to one committee chair assignment apiece and prohibited from serving on more than five public corporate boards beyond HCA. The settlement also requires the board to vet and answer all properly filed shareholder proposals. The reforms could be finalized at a Davidson County court hearing in Nashville on April 12, while the $215 million shareholder settlement goes before a federal judge in Nashville the day before. The board reforms are contained in what's called a shareholder derivative suit, meaning a complaint brought by shareholders on behalf of the company. In this case, the plaintiffs targeted the directors and the liability insurance HCA carries for them to recoup a portion of the sum paid out for the board's alleged breach of fiduciary duty during the IPO. In the settlement agreement, HCA and the individual board members deny wrongdoing. “HCA believes the settlement is in its and its stockholders' best interests, but cannot comment further on pending litigation,” the company said in a statement responding to queries about the agreement. Under the settlement, HCA will get $19 million from liability insurers to offset some of the $215 million shareholder settlement. HCA, which operates 165 hospitals, is the world's largest investor-owned hospital company by revenue—$39.7 billion in 2015. The company has made sweeping changes to the structure of its board and the way directors operate since the shareholder lawsuit began in July 2012. In that class-action lawsuit, HCA shareholders led by the New England Teamsters & Trucking Industry Pension Fund accused the company of failing to reveal in its IPO prospectus that falling Medicaid revenue in Florida and Texas along with other items caused HCA's stock to plunge from an offering price of $30 on March 9, 2011, to $18.81 by Oct. 3 that year. Those shareholders maintained throughout the nearly four-year proceeding that they suffered more than $1 billion in damages from the almost immediate, broad-based sell-off of outstanding common shares at the time. The plaintiffs in the original class-action lawsuit also sued the underwriters of the offering. HCA and the 13 members of its board of directors—also named individually as defendants—always denied wrongdoing, including in the settlements, which they said they accepted to put the matter behind them. Of the 13 board members originally named in the class-action lawsuit, four remain on the board today. They are current HCA CEO Milton Johnson, who was chief financial officer and a director at the time; brothers Thomas Frist III and William R. Frist of Nashville; and Michael Michelson, a member of KKR Management, the general partner of private-equity giant KKR & Co.
Those directors have participated in major reforms to the board over the past four years. One of the key facts in the original shareholder lawsuit was that the 13 directors were not independent because they were managers of the private-equity group Hercules Holding II, which controlled HCA at the time and put together the IPO. Hercules was assembled by several private equity groups that came together in 2006 to buy HCA and take it private, including Bain Capital, KKR, Merrill Lynch and affiliates of Thomas Frist Jr., of HCA's founding family. In the original Securities and Exchange Commission filing by Hercules when it returned HCA to public ownership in 2011, the firm made no bones about the dominance of insiders on the board. HCA stated that under New York Stock Exchange rules, it was exempt from having a majority of independent directors because more than 50% of the company would still be owned by Hercules after the IPO. HCA is moving forward from a shareholder lawsuit with a board structure that's much different as a result of the litigation. That said, it didn't take long after shareholders sued HCA and its directors over the IPO that the company began reforming the board, including some that the company alluded to in its IPO registration statement. Former HCA CEO Richard Bracken is the first named defendant in the derivative lawsuit. On Feb. 1, 2013, and again on Jan. 29, 2015, HCA amended the charter for directors on the board's audit and compliance committee to preclude them from directly or indirectly accepting any consulting, advisory or other compensation from HCA or any of its subsidiaries. Committee members previously were not “precluded from receiving remuneration from any of HCA's dozens of subsidiary hospitals or treatment centers,” according to settlement documents. The amended charter also required the audit and compliance committee to review and OK material transactions by parties related to HCA and discuss those proposed transactions with management and HCA's independent auditor before approving any transaction. On June 28, 2013, and again on Jan. 29, 2015, HCA revised the charter of the board's compensation committee to require the committee be composed of at least three independent board members, the settlement shows. Before those reforms, the committee could be any size and senior managers were not precluded from serving on it. Among other board reforms made before December's settlement agreement, HCA strengthened language in its code of conduct with detailed financial reporting requirements and whistle-blower language requiring employees to report real or perceived financial or operational violations. Michelson, through a KKR spokeswoman, declined to comment for this story. As of Dec. 31, affiliates of KKR and the Frist family still owned 84.1 million common shares of HCA, or 20.6% of the company through Hercules Holding II, according to recent SEC filings. The Frist brothers are the sons of Thomas Frist Jr., the man who took the hospital company his father started and built it into the world's largest investor-owned hospital chain. Forbes pegs the net worth of the elder Frist and his family at $7.4 billion. Additional HCA board reforms lie ahead. Within 18 months of finalizing the derivative settlement, HCA must add an independent director to a board that today has 11 members, seven of whom are independent. In addition, the settlement limits to five the number of boards that an HCA director may sit on at other public companies. Several shareholder-friendly reforms also must be put in place as part of the settlement. Specifically, the board's nominating and corporate governance committee charter will have to be amended to require the committee to evaluate all properly submitted shareholder proposals. The committee also must develop a process to determine whether the proposals are in the company's best interests and recommend, with reasons, whether the board should support or oppose each shareholder proposal. For five years, HCA will be required to publish on its website its insider trading policy and its disclosure committee charter. The company currently does not do so. It also will be required to post on the website the company's corporate governance policies, guidelines and committee charters. The settlement also includes mechanisms for various committees to become checks on each other. For example, the board's disclosure committee, which assists senior management with regulatory filings and other financials, will come under the supervision of the board's audit and compliance committee. The audit and compliance committee, meanwhile, will have to include at least one member who is an “audit committee financial expert” under SEC rules. Hospital governance expert Lawrence Prybil said all healthcare boards have room for improvement, and the best are constantly and systematically looking for ways to bolster their structures, processes and cultures. “All hospital boards do some things well and all can do some things better,” said Prybil, who is Norton professor in healthcare leadership at the University of Kentucky and author of numerous studies on hospital governance.